The Cafe Standard Plastic Trays from Carlisle are designed for cafes, school cafeterias and fast-food restaurants alike. 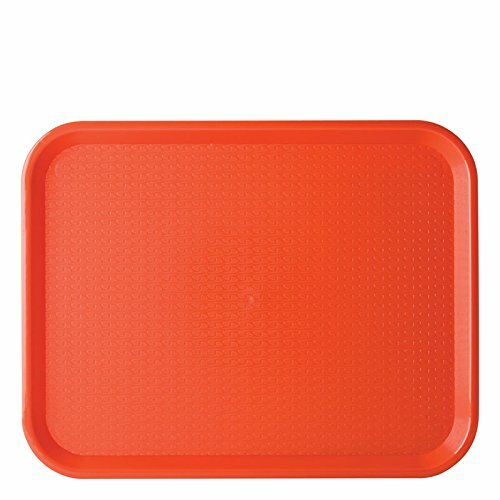 Made from lightweight yet durable red polypropylene plastic, these economical cafe trays feature a traditional basket weave design resistant to scratching. The unique skid-resistant texturing ensures food stays put during transport. The trays are BPA free and certified by the National Sanitation Foundation. The CT1014-8114 Cafe Standard Plastic Trays from Carlisle are designed for cafes, school cafeterias and fast-food restaurants alike. 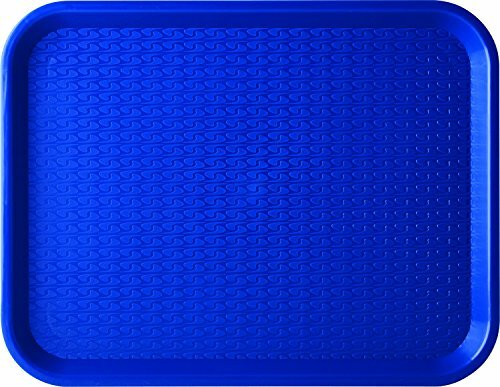 Made from lightweight yet durable forest blue polypropylene plastic, these economical cafe trays feature a traditional basket weave design resistant to scratching. The unique skid-resistant texturing ensures food stays put during transport.The Cafe Standard Plastic Tray measures 14 x 10-inches (L x W) with drying and stacking lugs for easy cleaning and storage.The trays are BPA free and certified by the National Sanitation Foundation. The CT101408 Cafe Standard Plastic Trays from Carlisle are designed for cafes, school cafeterias and fast-food restaurants alike. Made from lightweight yet durable forest green polypropylene plastic, these economical cafe trays feature a traditional basket weave design resistant to scratching. 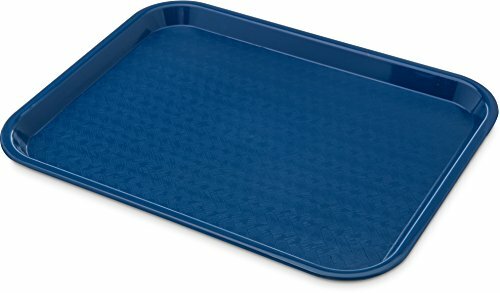 The unique skid-resistant texturing ensures food stays put during transport.The CT101408 Cafe Standard Plastic Tray measures 14 x 10-inches (L x W) with drying and stacking lugs for easy cleaning and storage.The trays are BPA free and certified by the National Sanitation Foundation. Carlisle CT121623 Café Standard Cafeteria/Fast Food Tray, 12"
This Carlisle standard Café tray is a stackable, rectangular tray for food service applications. It is made of lightweight polypropylene for heat resistance and durability and has a skid-resistant surface to reduce sliding of items. Stacking lugs allow air circulation between stacked trays for faster drying. This tray is certified by NSF International for use in food handling and processing and measures 0.98 x 17.87 x 14.00 inches (H x W x D). (H is height, the vertical distance from lowest to highest point; W is width, the horizontal distance from left to right; D is depth, the horizontal distance from front to back. )Carlisle manufactures food service equipment and supplies and sanitary maintenance tools and supplies for commercial, industrial, and institutional facilities. The company, founded in 1954, is headquartered in Oklahoma City, OK. Compare prices on Carlisle Tray Cafe at ShopPlanetUp.com – use promo codes and coupons for best offers and deals. We work hard to get you amazing deals and collect all available offers online and represent it in one place for the customers. Now our visitors can leverage benefits of big brands and heavy discounts available for that day and for famous brands.